Longings come from a lot of different desires and dreams (most of them good! ), but some things longing isn’t meant to be. Longing isn’t an excuse for sin. Longing for something isn’t inherently wrong. It’s often actually good and God given, but it’s what we do with longing that makes it right or wrong. In regards to our desires and longings, they only become sin when we are willing to sin to have the longing fulfilled. The place that longing holds in our hearts determines whether or not it is sin. Another way to think of it is to ask, “Are we controlled by this longing? Do we act out of the longing, or out of the Holy Spirit’s fruit (self control) and leading?Longings can be traced back to motives. While they often start out with a pure desire, longings can quickly get twisted in our hearts when we sin because we don’t get what we want. (Insert complaining, doubt, self focus, anger, pride… You name it; we all have a default reaction when we don’t get our way.) – Let’s get uncomfortable for a minute, what’s your default reaction? Mine, gulp, well mine is usually pride and doubt. “There is a somewhat philosophical realization that actually I have lost nothing. We may imagine what it would be like to share a given event and feel loss at having to experience it alone. But let us not forget – that loss is imagined, not real. I imagine peaks of enjoyment when I think of doing things together, but let not the hoping for it dull the doing of it alone. What is, is actual – what might be is simply not, and I must not therefore query God as though He robbed me – of things that are not. Further the things that belong to us, they are good, God given, and enriched. Let not our longing slay the appetite of our living.” Jim Elliot in a letter to Elisabeth, Passion and Purity. If we don’t have it, we don’t need it. It’s a hard truth, but Peter tells us that we have been given ALL we need for life and godliness. (2 Peter 1) When we think we are “owed” something by the Lord, or by life, we open wide the door for sin (offense, bitterness, distrust, doubt). Accepting what we do have is the greatest risk we are asked to take, because in acceptance, we surrender our pride (I know what’s best for me) and have to trust the Lord that He is good, and that He is faithful. Longing isn’t meant to rob us of the now. Longing is simply a battlefield between the now and the not yet. It’s where we fight our dragons of fear, insecurity and pride, as we wrestle though facing our Maker and ourselves. A red light in our longing means the adventure is not yet finished where we are! There is more to be done here – will you be brave enough to accept what you have, and offer it to the Lord as a sacrifice for Him to use? Longing doesn’t rob us of our “now’s” – perspective does. With our minds we can live in the land of “not yet”, or we can ask God to see His salvation where we are, and let Him create tools to fight our dragons, and live fully in the now. That doesn’t mean we don’t still long for things, it means longing takes its proper place in our hearts, and lets God have the throne. Next: Seeing our Salvation within our longings. Categories: musings, series, singleness, Uncategorized | Tags: Musings, series, Singleness | Permalink. I looked down at the text message from my bestie and burst into tears. No, I silently answered through the tears, the hoped for, longed for, text had not come. It had been three years since I’d been in a relationship, and while there had been a few “almosts”, and “sort of’s”, I was still single and feeling passed over yet again. 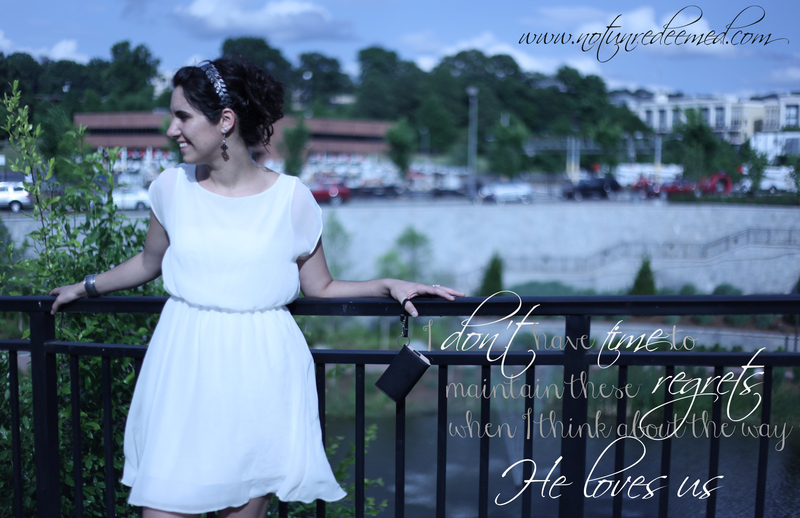 My heart wrestled with my head, arguing that the Lord knew best, and His timing would be perfect, but it didn’t diminish the pain and longing I felt in that moment. “Why Lord?” My heart begged. I really liked this guy, like a lot. I was waiting, ready to love, and had been past by yet again. In the midst of my frustration and tears, the Holy Spirit began to whisper, “Katie, how many times have I stood by ready and waiting to love you and you passed Me by? Ouch. Those selfish, pitiful, tears instantly turned into tears of repentance and thankfulness. The Lord started a new season in my heart that night, a season of learning what longing is, and what it isn’t. – Won’t you join me for a short series on longings? While the these posts are going to be classified under a larger umbrella of a series on singleness, the next few posts going to focus on longings and desires. At the heart of it, all longings feel the same; they just look differently in each persons life. My longings have ranged from marriage, to friends, healing, ministry, family and a mentor. Others I know long for children, jobs, relationships; you fill in the blank -most of us have longings. What do you long for? Categories: musings, series, singleness | Tags: Musings, series, Singleness | Permalink.